One of the charts that Mayor Villaraigosa submitted to Congress to explain the 30/10 Initiative. Click above to see larger image. Los Angeles Mayor Antonio Villaraigosa is in Washington D.C. today to testify before Congress on the 30/10 Initiative that Metro is pursuing. 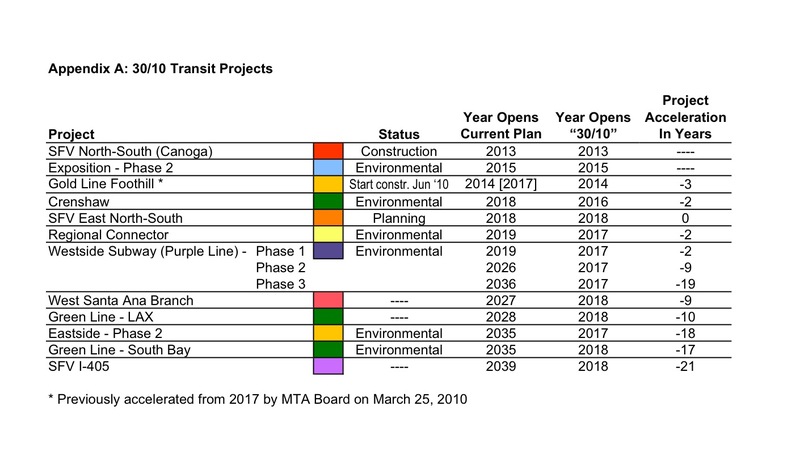 Attentive readers will recall that the 30/10 plan proposes to build a dozen Measure R transit projects in the next 10 years instead of the next 30. 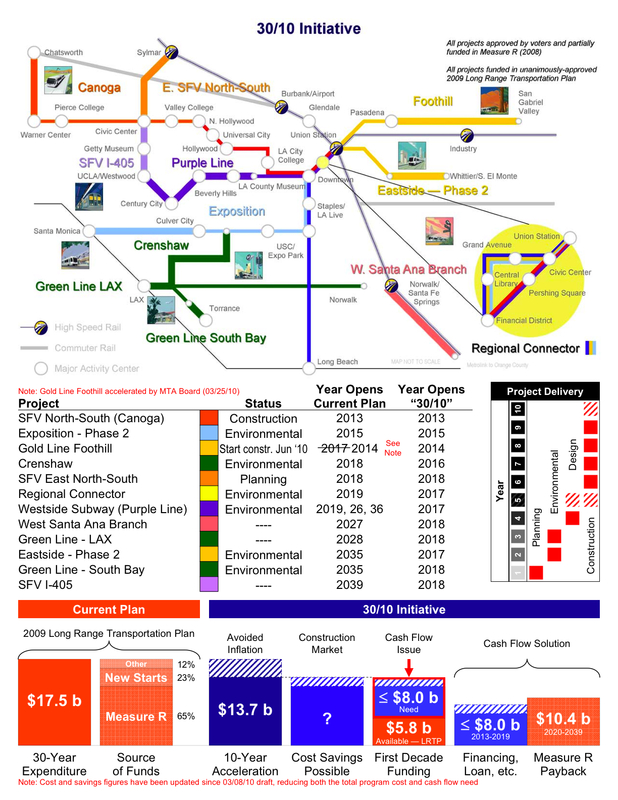 Villaraigosa is also a member of the Board of Directors of Metro. The above chart explains the 30/10 timeline. It’s obviously ambitious. In order for it to happen, Metro needs to secure $8 billion in funding from the federal government, which Metro would then pay back using Measure R sales tax funds. The challenge is that this has never been done before to build urban transit systems. Villaraigosa’s written testimony is below. I encourage you to read it — it provides a very good overview of the different types of loans and bonds that could be used to finance the 30/10 Initiative. And here’s a link to the Ways and Means web page on today’s hearing. U.S. cities have seen congestion grow since 1997 – even those with major transit systems – Los Angeles’ congestion levels have remained constant despite population increases.